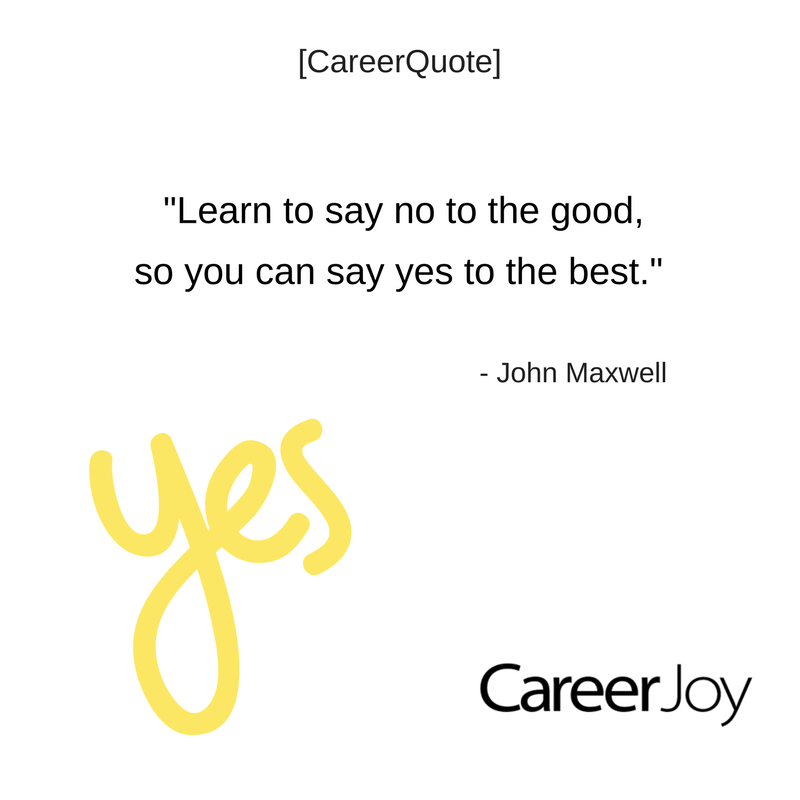 Last week, I shared how the art of leadership is saying no, not saying yes. This week, I thought we should change it up a bit. Let’s face it, it would have been hard for Barack Obama to be elected on a “No we can’t” platform. A wise leader weighs the “yes” and “no” before committing to a course of action, and sometimes they even change their minds. CJ | Career Success Can Be as Simple as ABC. P.P.S. We take the human approach when it comes to leadership development. CareerJoy provides 1-1 programs and workshops to help your team move forward in their leadership capacities. Contact Jason Parks, National Director of Business Development, at 1-877-256-2569 x 600 for details.